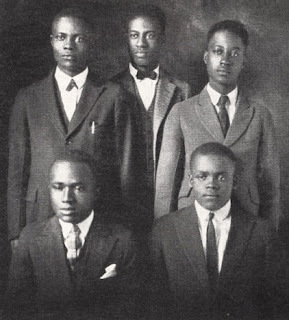 Melvin B. Tolson (center) led the Wiley College debate team to a U.S. championship in 1935 with a win over Harvard University. The story is depicted in the movie "The Great Debaters," scheduled for release Dec. 25. UMNS photos courtesy of Wiley College. It is not every day that Denzel Washington and Oprah Winfrey do a movie together about a historically black college with fewer than 1,000 students. But that’s what happened when the pair learned about a David and Goliath matchup in which Wiley College's 1935 debate team won a national championship against Harvard University and also beat other perennial oratorical powerhouses. United Methodist-related Wiley College is a historically black school in Texas. In 2004, the United Methodist-related college in Marshall, Texas, began to receive inquiries from Hollywood about Melvin B. Tolson, leader of Wiley's first debate team. "We started getting calls and researching ourselves for them," said Veronica Clark, Wiley's director of public relations. The Wiley staff learned that over a 15-year period, Tolson’s teams lost only one of 75 debates. The Wiley Forensic Society competed against historically black colleges, but earned national attention with its debates against the University of Southern California and Harvard University. The winning team was composed of four men (including Tolson) and one woman. "After we did our research, it was submitted to Mr. Washington and the production company, and from there a script was developed," said Clark. Scheduled for release Dec. 25, "The Great Debaters" is being produced by Winfrey's Harpo Productions. Washington is both director and star. Filming began in early 2006 and wrapped over the summer. Most of the scenes were filmed in Louisiana with brief scenes on the Wiley campus and at Harvard University in Cambridge, Mass. "Everyone is extremely excited," Clark said. "It is not everyday that Denzel Washington and Oprah Winfrey want to do a movie about a college, especially one about a college our size." The liberal arts college has 926 students enrolled. "As soon as we learned of the movie at Wiley, the alumni have just been bombarding the college with telephone calls," Clark said. "This is exciting. It just doesn’t get any better than this. Not to mention that a great story is being told about newbies coming onto the debate scene and doing so well." The Marshall community also was excited about Washington’s arrival. "He came to campus in sweatpants and a baseball cap," said Clark. "He was here to work (and) he was very approachable." Since racial diversity was needed in the film, students and community members came out in droves. Other actors in the film include Forest Whitaker, Columbus Short, Jermaine Williams, J.D. Evermore, John Heard, Kimberly Elise, Nate Parker, Justice Leak, Jurnee Smollett and Denzel Whitaker. Tolson was born in 1898 in Moberly, Mo., to a Methodist Episcopal pastor and his wife. His father served churches in Missouri and Iowa. A graduate of historically black Lincoln (Pa.) University, Tolson was hired by Wiley College in 1924 to teach English and speech. He also coached junior varsity football, directed the theater club and organized the Wiley Forensic Society. A monument to Tolson and his achievement stands on the campus. Tolson was a mentor and teacher to civil rights activist James Farmer Jr. and Herman Sweat, an African American who was refused admission into the University of Texas Law School. Action by the law school resulted in a Supreme Court decision that challenged the "separate but equal" doctrine of racial segregation, a policy established by the 1896 case of Plessey vs. Ferguson. He left Wiley in 1947 to teach at historically black Langston (Okla.) University. That same year, Liberia declared him its poet laureate. Beginning in 1952, he served two terms as mayor of all-black Langston. He died in 1966. The movie has instilled a sense of pride in the students and the Marshall community. The debate team, defunct after Tolson left the school in 1947, was resurrected in the last academic year and won a debate against Morehouse University. Clark called the win "icing on the cake." In an interview with the Marshall (Texas) News Messenger, Washington said he thought the Wiley debaters "would be just a really wonderful story to tell. It's about the spoken word –– something you don't see much in film –– and about education and about debating." Washington said this part of the story of blacks in America needs to be told –– that there is a huge gap between the end of the Civil War and the climax of the civil rights struggle in 1964. He called the movie a "David and Goliath" story. He also said the spoken word is an important part of current hip-hop culture, and the debating film shows the roots of that tradition. "Our oral history is rich and deep, and debating is a big part of it, a part I didn't know about. It's something I want to share on the film with others," he told the newspaper. Wiley College is the first historically black college west of the Mississippi River. It was founded in 1873 by Bishop Issac Wiley of the Methodist Episcopal Church and the Freedman's Aid Society to prepare the newly emancipated people for the future. The college is one of 11 historically black United Methodist-related institutions of higher education and is financially supported by the denomination's Black College Fund. The movie is awesome. 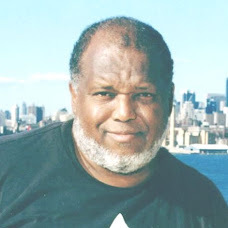 James Farmer Jr. spoke at my college graduation exercises at Jersey City State College in 1969. He was powerful. I also was part of the audience when James Farmer was one of the guests on the Phil Donahue talk show on July 9, 1986. Mr. Farmer has always been an inspiration to me. This part of his life was unknown. He has always been overlooked in the civil rights struggle. See the movie and understand the word. I also found the movie one of the best we have seen this year. See it. FYI - Wiley did not in actuality beat Harvard for the national Championship but USC. The directors thought it would have more impact to have WIley beat Harvard in the movie.